Who is missing getting out in the garden? Here in the UK we may not have had the normal cold and frosty weather, instead it has been pretty much none stop rain. So whilst it is warm enough for gardening, it is very water logged. But do not despair just yet, why not enjoy some indoor gardening and grow your own mushrooms, in just 10 days. 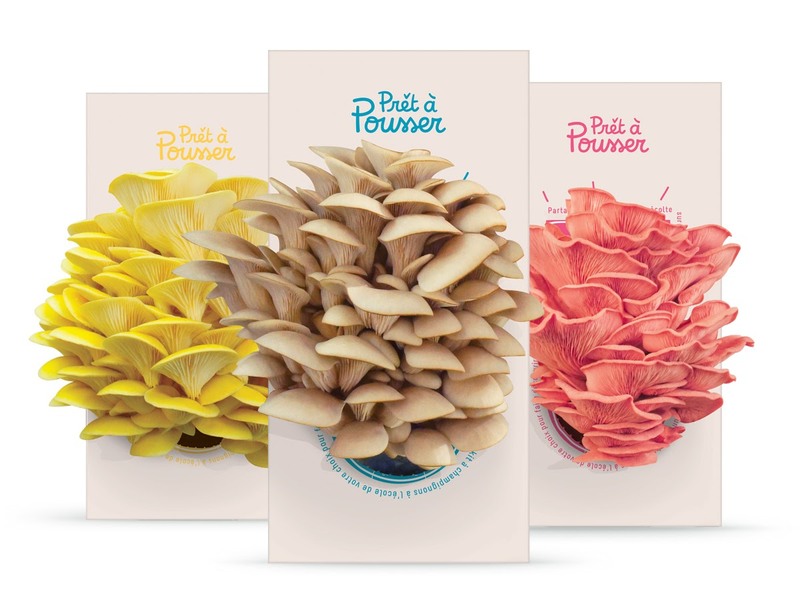 Pret a Pousser are offering one of my blog readers the chance to win a Go Grow Mushroom kit of their choice. These are not just your usual plain beige mushrooms - no they come in some fabulous colours! Grey, Yellow and Pink starting from £14.90. Growing them is very straight forward, nothing too tricky. Position your Go Grow Mushroom kit, cut a small cross in the internal plastic wrapping and spray the opening with a little water using the spray bottle provided, and in no time you’ll start to see the mushrooms grow, getting bigger each day. You can even get multiple harvests. Which Go Grow Mushroom would you like to win? (leave your answer as a blog comment and confirm your entry using the rafflecopter widget below) You will need to leave a comment on this article to release the additional entry tasks. Closes 26 January 2016. Winner must respond within ten days of being notified, after which time a new winner will be selected. UK entrants only. For Terms and Conditions click the link on the Rafflecopter widget. Disclosure: Prize is supplied by Pret a Pousser. I like the GREY OYSTER MUSHROOMS + KNIFE set. The pink oyster mushrooms - so unusual! I would love the pink oyster mushrooms and lnife kit please! yellow oyster mushrooms for me! brilliant idea! The grey oyster mushrooms please. I would love to try out the pink oyster mushrooms. They would be a delight for the palate AND the plate! Have to be the pink ones might even be able to tempt my daughter to try them with that colour!!! Yellow please - not sure I can take PINK mushrooms! The grey ones, they might be natural, but pink ones just seem wrong to me! The Pink Oyster mushrooms would liven up a meal no end. Grey oyster mushrooms look amazing! Great idea :) Grey oysters look tasty. The pink ones would be really fun for my daughter. Wow - the yellow ones would brighten up any meal! Well, I'd like the yellow or pink ones because they would look pretty growing. However, I'd have a better chance of getting my kids to eat the mushroom ones, so whatever you've got most of really! 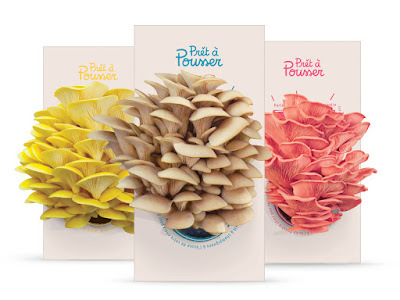 I would love to win the pink oyster mushroom kit although all are equally impressive! I would love the Yellow Oyster mushrooms please. I've never seen anything like this before but they are so so pretty! The Grey Oyster Mushrooms look good to me. Their gift packs are a good idea, too! The pink oyster mushrooms look really pretty!!! The pink oyster mushrooms look great, might actually be able to convince my daughter to eat mushrooms if they are pink. would be the pink oyster mushroom kit - in a male dominated household, so it had to be pink!! I'd go for the Yellow Oyster Mushrooms - very pretty! I would love to win the grey oyster mushroom kit. Thanks. I would love the yellow oyster mushroom kit! I love these! I'd prefer the grey mushroom kit. Very clever! Pink mushrooms, for the visual appeal on plate. The pink oyster mushrooms look lovely. The Pink Oyster mushroom kit. Very different! Tough choice - I like them all! For the purposes of this I'll say pink though please! I love the pink mushrooms - I've never tried them before. The pink mushrooms please. I've never seen them before. I do love mushrooms, so I'm sure that I'll like them. i love the pink mushrooms! amazing! I'd be super pleased with any of them, but the pink have the edge. pink oyster mushrooms, amazing colour! I love the pink oyster mushrooms! Pink is my favourite colour and I think they would make a salad look so much better! I would like to win the pink oyster mushrooms please. They look so pretty.